For once, American Apparel is making headlines for something other than racy advertisements and pubic hair. 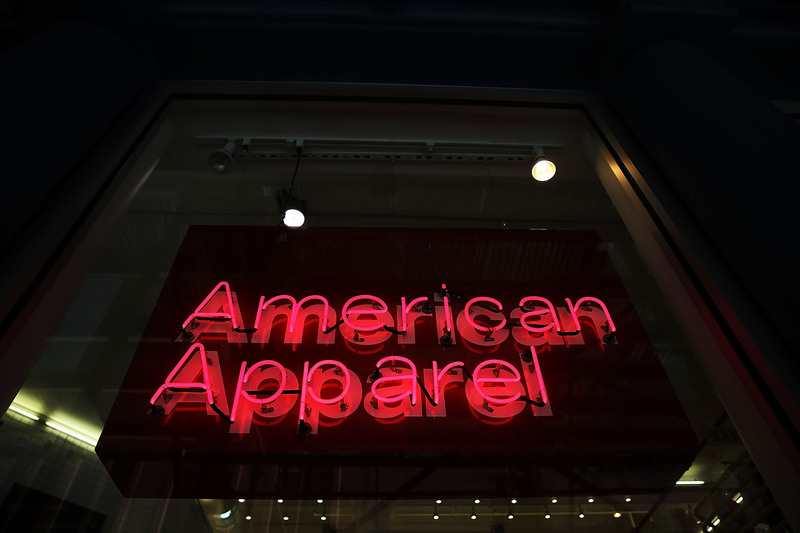 According to police, $1,000 worth of tight pants were stolen from an American Apparel store in Williamburg last week. Better yet? They were taken by a guy. Pairs of Disco Pants and Easy Jeans were swiped from the American Apparel located at 104 N 6th St. on April 24th. The police say the theft occurred around 3:45 pm and have identified the culprit as a 23-year-old man. So far, no arrests have been made. Disco Pants are glorified high-waisted leggings made of a Nylon and Elasticine blend and priced between $85 and $98. Easy Jeans are also high-waisted (obviously, since this is American Apparel we're talking about here), made of soft-stretch denim, and cost between $78 and $80. I have a lot of burning questions surrounding this theft. Most importantly, what kind of lunatic hipster needed to make off with a full grand's worth of shiny compression pants and over-priced jeggings? How did he get them all out of the store? Was he wearing a monocle while committing the act? And what will he do with all those pants? My theory: Last minute birthday gift for his waifish girlfriend. Those are black Disco Pants pictured — wouldn't you just kill to get your hands on, like, five to ten pairs of those bad boys? The company's worst-kept secret is a combination of lax security and corrupt management that virtually encourages them to steal, a combination that's led to employees at multiple retail locations in the United States, individually and in teams, stealing countless thousands of dollars in merchandise from the company. And so the plight continues with the Great Disco Pant Heist of 2014. Somebody alert the Tumblr Bling Ring.